Thales, a global technology leader, has announced the launch of a Cyber Hub in Dubai that will cater to the UAE and the wider Middle East region. The new hub will become a centre of excellence for Cyber Consulting, services to the region. The Middle East, and in particular the UAE, have huge digital ambitions and is becoming increasingly digitized across virtually all its major infrastructures. The Cyber Hub will harness Thales’s local expertise and use established world-class methodologies as well as cyber training, simulation and threat intelligence. Thales has invested over €1 billion ($1.23 billion) over the past three years in key digital technologies, including IoT, big data, artificial intelligence and cybersecurity. These competencies will be brought to bear at the Dubai Cyber Hub, where the group’s expertise in safety and security critical markets, will be leveraged against Thales’s region-specific expertise and footprint. The strategy aims at helping customers in the region deliver successful business and digital transformation, both safely and securely. Through a consultancy-led approach, the Cyber Hub will utilise established methodologies developed by the group, including, cyber health checks, cyber vulnerability investigations, industrial control and SCADA specific risk assessment, as well as cyber training and simulation and threat intelligence. These methodologies, will be leveraged with the products and services from Thales’s diverse portfolio, and tailored to local needs by using local expertise, with the ultimate aim of enabling local businesses to adopt a more agile and proactive response to customer needs. The hub will seek to improve customers’ competitive advantage by providing them more robust cyber security protocols, and develop opportunities to upskill and build strategic partnerships with other established cyber businesses across the Middle East. The final piece of the puzzle comes from Thales’s long established track record in fostering strong partnerships with SME’s, startups, and leading academics. One of the first examples of efforts in this area will be the leveraging of best practices garnered by the Thales 2017 STATION F programme, where the Group supports talented cyber SMEs in their development. These will be incorporated into the Hub’s operations, in an effort to embed the Hub as an integral part of the local start-up and incubator ecosystem, and ultimately boost the local landscape to benefit the Middle East’s digital transformation as a whole. “GCC countries, and in particular the UAE, are at the heart of digital transformation. 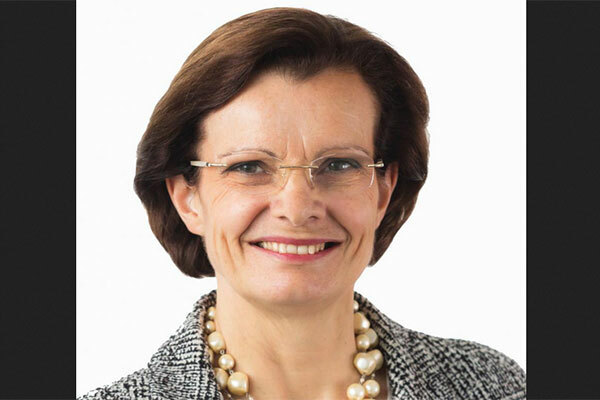 As the value chain becomes increasingly digitised, the risk of cyberattacks is also on the rise,” said Pascale Sourisse, senior executive vice-president, International Development, Thales.